As you hover elements in the Frontend editor, you will see a full hierarchy of elements from left to right (ex. row, column, single image). Note: Complex container elements like tabs will also use blue and yellow colors to display tab group and separate tab container. Remove – delete a row (you can also delete elements with drag and drop). 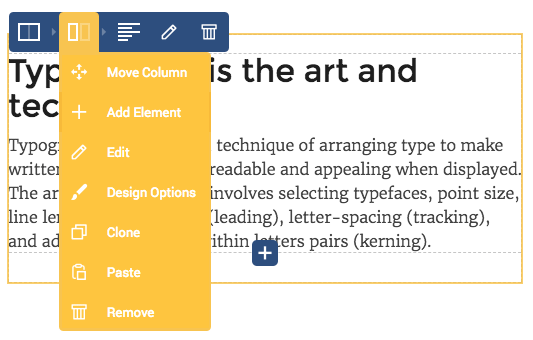 Remove – delete column (you can also delete elements with drag and drop). 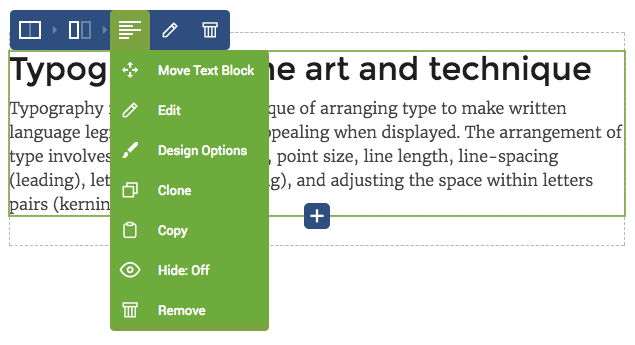 Remove – delete an element (you can also delete elements with drag and drop). Note: Visual Composer allows you to copy elements between pages. 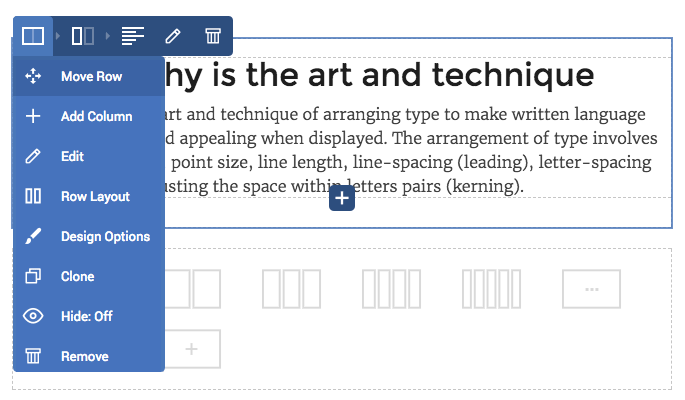 To do that, copy the element and navigate to another page to paste it.